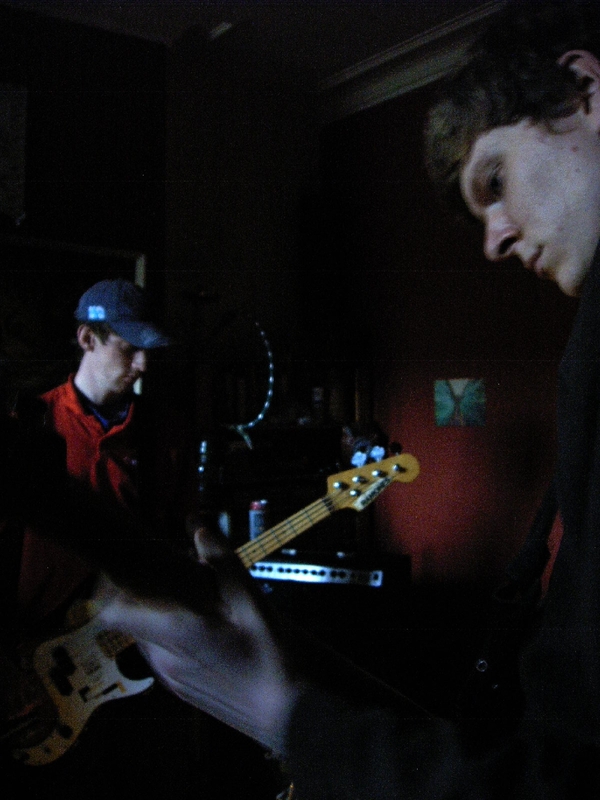 Manchester instrumental trio BURNST (Ed, Dan) playing around 2006 (I don't have a flyer or date here). I am fairly sure there is footage of this gig on youtube. The venue is actually Windsor Road, Levenshulme - I have (maybe unfairly) logged it as Albert Road, due to proximity and not wanting to create too many different street names for house gig media.